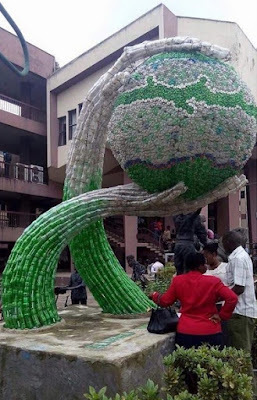 Final year student, Eluagu William made this from used plastic bottles and cans for his final year project. 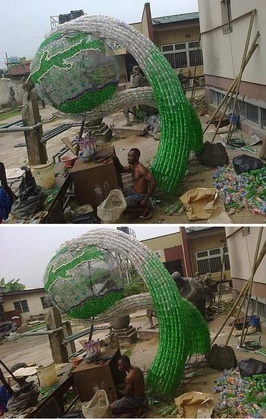 He titled the amazing piece of art "Your Destiny Is In Your Hand." This is amazing!